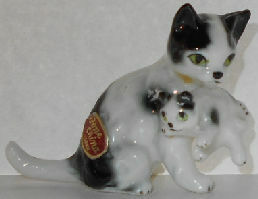 This little black and white mother cat is carrying her kitten to a new spot. This miniature is 2 1/2" wide x 1 1/2" high. 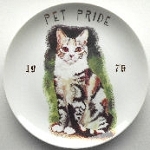 Paper label on the mother cat says Bone China. Previously owned but in good condition.